Click HERE or on the image to purchase a copy of Reynold's Middle School book for your very own. It is time once again to celebrate the work by the students at Reynolds Middle School in Prosper, Texas. This year their art, writing, and photography was centered around the theme: Explore. Discover. We asked them to go out into the world and find something incredible to use as inspiration to create. And they did! Inside this massive, nearly 300 page page book, you will find poetry, stories, essays, art in many mediums, photographs, and the truth that discovering something new never gets old. 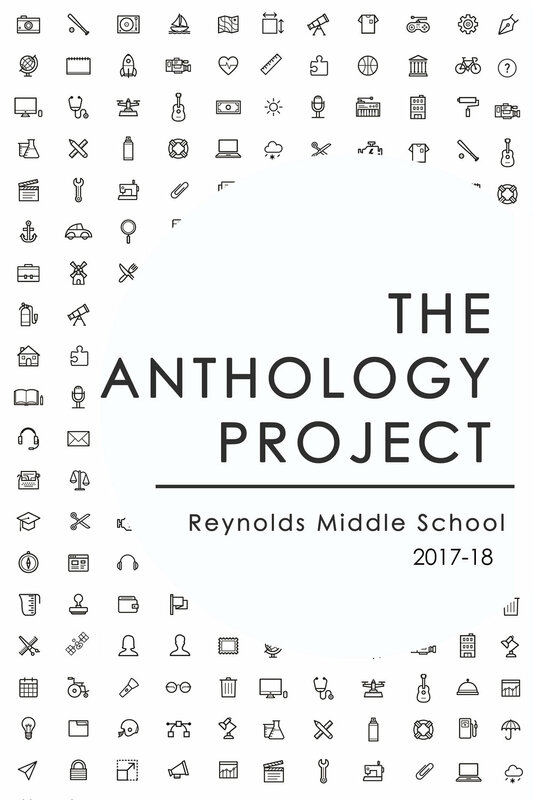 We know we speak for everyone at Reynolds when we say how proud we are of the work represented in this year's Anthology Project.